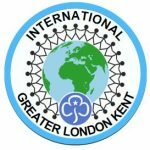 By you volunteering with Girlguiding Greater London Kent you are giving girls and young women an opportunity to get involved in a wide range of activities from outdoor challenges such as climbing, water sports, camping to learning new skills such as first aid, arts and crafts and cicrus skills. Guiding offers a girl only space. This means that girls and young women, who may have less self-esteem and self-confidence than boys, are able to assert themselves, make decisions, take on positions of responsibility and work in teams in an environment which best suits them. We have 50,000 girls and young women on our waiting-to-join lists. By volunteering as a unit Leader or helper you’ll enable several of these girls to take part in guiding and allow their lives to change in the above-mentioned ways.